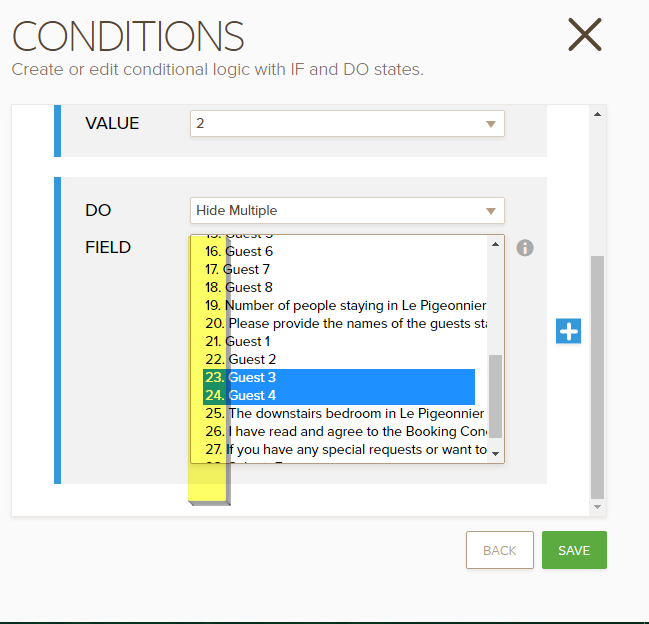 Can I have 2 drop down boxes with different conditional logic on the same form? Yes, you can. I think you have figured this out already. When setting up a conditional logic, you should see the numbers in the field from the dropdown selections. This would allow you to identify what fields to select in the logic.